Addis Ababa, Ethiopia (CNN) Moshe Biton and Ilan Matsliah had never set eyes on one another before March 10. But in just two weeks, the men have formed a strong bond after being thrust together in the worst possible circumstances. The doomed Ethiopian Airline flight ET302 that crashed in a field, killing all 157 people on board, was carrying both of their older brothers. Avraham Matsliah, 50, was a sales director in charge of parts of Africa for an Israeli company. His friends called him Avi, his brother says. 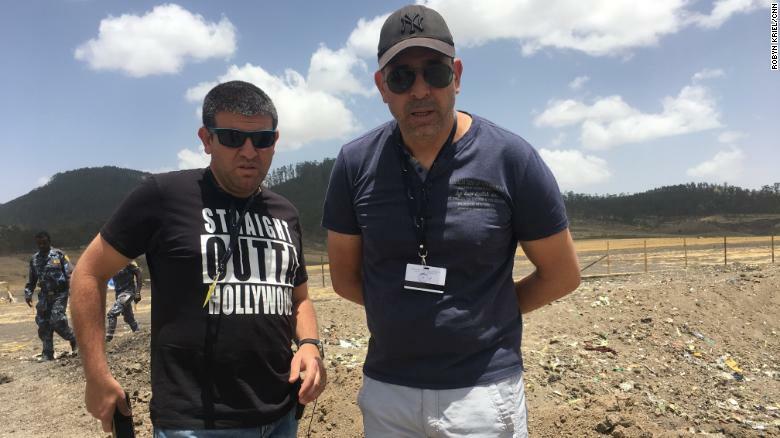 Israelis Moshe Biton and Ilan Matsliah, who lost their brothers in the Ethiopian Airlines crash, visit the site. Since meeting in the aftermath of the tragedy, the two men have grown close, bonding over memories of their elder brothers. “I was following him since I was a child,” Biton recalls of his brother Shimon. Shimon Daniel Reem-Biton, 61, had worked as a security consultant across Africa. He was married, with five children aged 30, 24, 12, 9 and 3 years old. His wife, who wanted to go unnamed, spoke to CNN via phone from her home in Israel. She is devastated, she says, but trying to put on a brave face for her children. Reem-Biton was “my heart, my head, and my soul,” she said. “I’m in shock. It’s very hard,” she said. “The father of my children is gone. I can’t believe he will not be with us anymore. He was a very good father. He spent every moment with them. Football. Basketball. Every moment he had that he wasn’t working he spent with them. During a bumpy two-and-a-half-hour journey from Ethiopia’s capital to the crash site in Bishoftu, south of Addis Ababa, Biton, and Matsliah regaled each other with tales of heroism about their brothers, punctuated with occasional bursts of humor. It was a cathartic journey during which they played songs they said reminded them of their brothers. The songs ranged from Cat Stevens to Florence and the Machines and Hebrew folk songs. Lost in his private grief, he brings out a picture of a T-shirt found at the crash scene he says was his brother’s, and he is overwhelmed with the realization he will never see his brother again. Moshe Biton and Ilan Matsliah place stones spelling out their dead brothers names in Hebrew at the site. The pair have been overwhelmed by kindness from locals in Ethiopia. 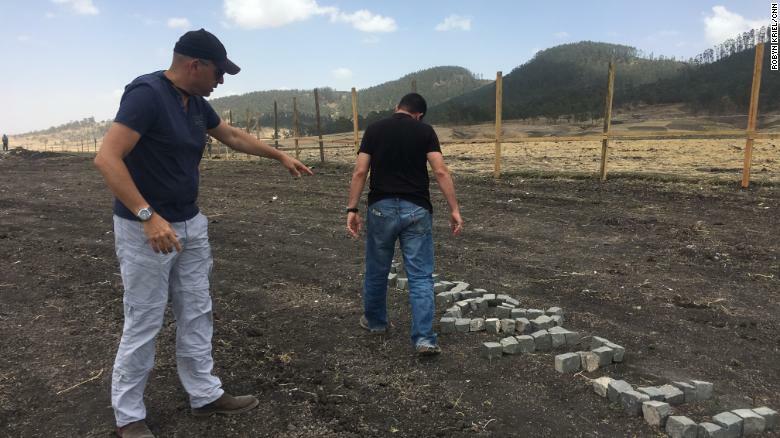 About a week after the crash, Biton and Matsliah bought stones from a local vendor and took them to construct a sign of their brothers’ names at the site. Spontaneously, the Ethiopian security services and villagers joined hands with Biton and Matsliah and prayed. At the crash site, crows perch on the wooden posts and barbed wire that seals off what is now a mass grave. 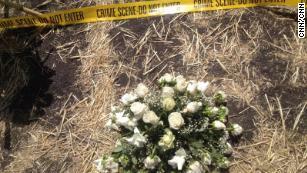 No human remains have been identified at the site, and it is unlikely that will change for several months. Makeshift memorials left at scene honoring family members who died on the Ethiopia Airlines flight ET302. 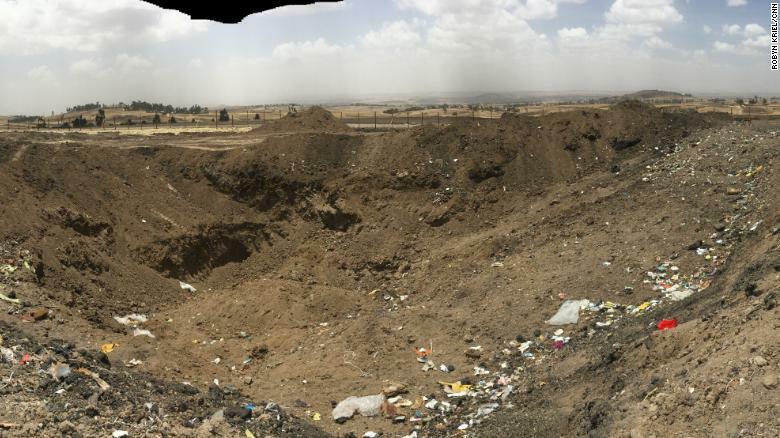 Matsliah and Biton say they believe the remains are buried under the soil and have visited the site seven times. “We worry that our brothers’ DNA won’t be among the remains that have been collected and that we will never have a grave to visit,” Matsliah said. The Ethiopian government has previously allowed the emergency response ZAKA team to visit the site once, but only for a few hours. 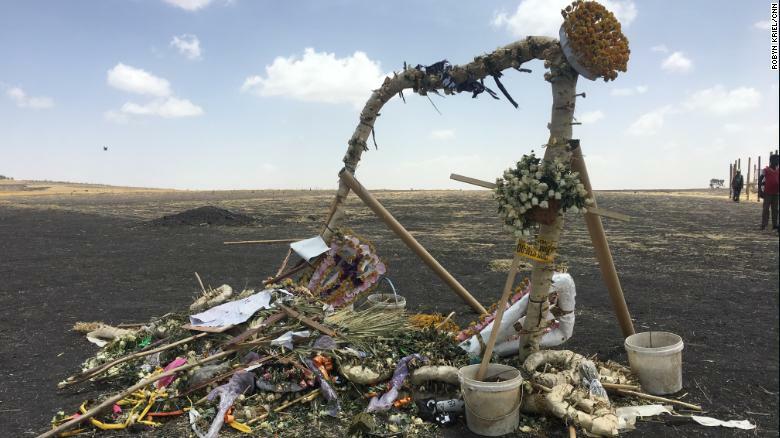 Some remains were collected and handed over to Ethiopian authorities, but many believe there is still a lot of DNA evidence buried under the soil. 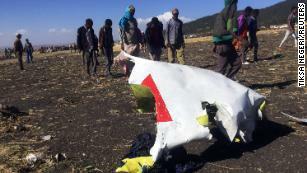 The Ethiopian Ministry of Transport, in charge of the investigation, did not respond to CNN’s request for comment. 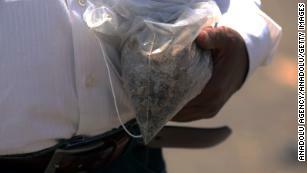 “Our goal is to bring all the human remains and to check all the DNA,” Matsliah said. Reem-Biton’s wife says she is desperately seeking her husband’s remains so her children can visit their father. She implores the country’s Prime Minister to reopen the site. “We need closure,” she says. “We need to bury him. I feel like I lost my life, too. I wake up, but I’m not living.